As a property manager for Greywolf Partners, Andrea started her career in Greywolf's Milwaukee office supervising a mixed portfolio of commercial real estate. Andrea previously managed property which included Class A office buildings and a residential community for Greywolf Partners in Green Bay and Appleton as well as the Milwaukee area, and also worked as Marketing Manager for the company. Her current portfolio consists of residential, office, industrial, and retail space. Andrea coordinates the management, marketing, and engineering for her portfolio and works closely with Greywolf's brokerage team on lease renewals and new lease proposals. Prior to working at Greywolf Partners, Andrea was a department manager for JCPenney at their Madison East Side location. Andrea is a licensed salesperson in the State of Wisconsin and a member of Building Owners and Managers Association (BOMA). Andrea received her Bachelor's degree in Marketing from the University of Wisconsin-Milwaukee. 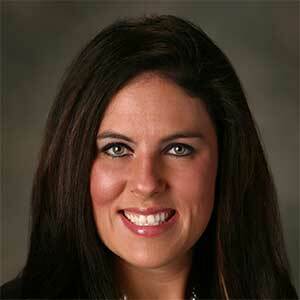 Andrea currently lives in Sun Prairie and enjoys spending time with her family, friends and her dogs.